Posted on 28/12/2017 by Pauline Soper Posted in Eye health	. Many people suffer from eye problems. However, only a few visit an eye doctor or even have regular eye check-ups. Worst of it all, some may be suffering from various conditions without knowing. That said, this article will highlight some common eye conditions, their signs, and symptoms. Glaucoma is an eye condition that results from elevated intra-ocular pressure. This pressure usually affects the optic nerve. If not diagnosed on time it could lead to loss of vision. It is common among the elderly and African-Americans. Glaucoma can be classified into two main categories; open–angle or angle closure. Open-angle is the most common. It is characterized by reddening of the eye. 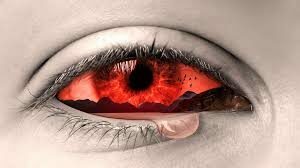 On the other hand, angle-closure glaucoma has a sudden onset, it is painful, and the eyes have a red coloration. Treatment options for this condition include laser treatment, eye drops, and surgery. Cataracts are associated with old age. 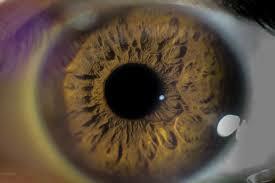 However, medications, diabetes, ultraviolet light, and trauma can contribute to this eye condition. This condition is characterized by blurry vision and a cloudy lens. A cataract usually affects the cornea. Medical interventions for this disease include eyeglasses, magnifying lenses, or surgery. This eye condition affects the macular and the central part of the retina. Thus, one may lose focus, but cases of total blindness are rare. The main types of AMD include the wet and dry AMD. Wet AMD occurs when strange blood vessels start growing in the retina and leak blood and fluid. On the other hand, in the dry AMD, the light-sensitive cells of the macular collapse slowly causing loss of vision over time. Retinal detachment arises when there is a build-up of fluid behind the retina. Near-sighted adults of an age of 25 – 50 are susceptible to this condition. Additionally, after a cataract surgery, you may suffer from this condition. This condition is usually painless. Some of the symptoms of these conditions include floaters and a perception of flashing lights. This is an infection at the oil glad just beneath the eyelash. The sign and symptoms of this condition include a red pimple on the eyelid. At this point, this area is tender red, and one may feel irritated. A sty can be treated at home using warm compresses six times a day for at least ten minutes. With this home remedy, the sty will rupture and release pus. Clean this pus with water and soap. However, if the sty becomes too painful, fails to rupture, or when it affects your vision, you should see your eye doctor. Other common eye problems include eye allergies, keratoconus, blepharitis eyelid cyst, corneal ulcers, diabetic retinopathy and many more. In case, you have one of these conditions it is essential visit a eye hospital and see your eye doctor promptly. Tags: eye doctor, eye problems	.